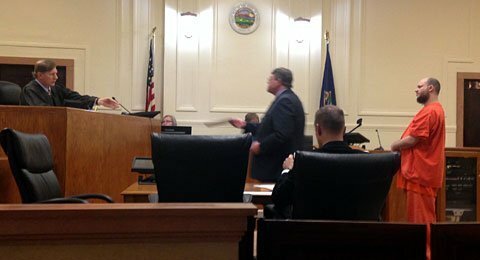 Attorney James Campbell, center, hands James Harris’ plea documents to Osage County Chief Judge Phillip Fromme during an impromptu plea hearing Monday. A Carbondale man accused of first degree murder in Osage County District Court abruptly cancelled his upcoming jury trial by entering a plea to a charge of involuntary manslaughter Monday afternoon. James P. Harris, 30, was originally charged with first degree murder in the death of 49-year-old James E. Gerety, whom prosecutors had alleged Harris killed sometime between March 3, 2011, and April 20, 2011. Gerety’s death was discovered after part of his skull was found in March 2012 by a woman hunting mushrooms near her residence in rural Carbondale. Prosecutors revealed during Harris’ preliminary hearing in March that the skull was the only part of Gerety’s body that had been recovered. 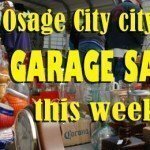 At the hearing called for Monday afternoon, Osage County Chief Judge Phillip Fromme said he had been informed late last week that a plea had been “worked out”. Dustin Curry, Shawnee County senior assistant district attorney, told the court that through negotiations with the state, Harris had agreed to enter a plea to the charge of involuntary manslaughter in Gerety’s death. Curry served as co-prosecutor in the case with Osage County Attorney Brandon Jones, who was not present for Monday’s hearing. Questioned by Fromme, Harris confirmed he was entering a plea of no contest to the involuntary manslaughter charge. The amended complaint, filed by Curry during the hearing, alleges that on or about March 3, 2011, to April 20, 3011, Harris did unlawfully, feloniously and recklessly kill Gerety. In accepting the plea, Fromme requested Harris’ attorney, James Campbell, to provide a factual statement supporting the plea. Campbell said the state’s evidence would also show that Gerety was a missing person for an extended period of time. “During the time Mr. Gerety was presumed to be a missing person … various individuals would testify during that time that Mr. Harris made statements that he had in fact been the cause of Mr. Gerety’s death,” Campbell said. “We would stipulate that based upon those facts, that a jury could certainly find by that direct and circumstantial evidence that Mr. Gerety was in fact killed, that it was done in a reckless manner, and my client could have completed that, and we stipulate that a jury could make that finding beyond a reasonable doubt,” Campbell said. Fromme accepted Harris’s no contest plea and found him guilty of involuntary manslaughter, noting the possible penalty for the severity level 5 person felony was a minimum of 31 months to a maximum of 136 months, depending on the defendant’s criminal history. The judge set sentencing for March 30. In a tender of plea filed with the court, the terms of the plea negotiations indicate the state will not oppose a sentence of 53 months in prison, which would be according to state sentencing guidelines and in consideration of Harris’ criminal history. The plea document indicates that Harris had been previously convicted of a person felony and a non-person felony. At the time of Harris’ arrest, he was an inmate in a federal correctional institution at Texarkana, Texas, although he listed a Carbondale address when he was booked into the Osage County Jail in March. Fromme noted that he was not bound by the plea negotiations, and had the authority to determine the sentence. After the hearing, Campbell declined to comment on his client’s plea. When asked if the public would ever know how Gerety died, Curry said “probably not”, noting Gerety’s body had not been found. “A lot of people went through a lot of effort to try to find him,” Curry said, but referred all further questions about the case to Jones, who he said had negotiated the plea agreement. 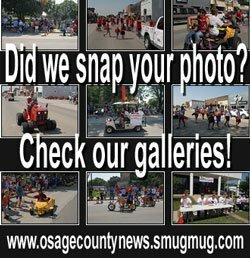 The case was prosecuted by the Osage County Attorney’s Office and the Shawnee County District Attorney’s Office. One witness at the preliminary hearing testified that Harris was involved in voodoo, kept a voodoo doll effigy of the victim, and kept the victim’s head in a bag at a residence in Topeka. During a motions hearing in October, Fromme granted a defense motion to exclude evidence about the defendant’s religious practices unless it had a relationship to the alleged crime or commission of a crime. Harris’ plea in the case cancelled a jury trial scheduled for Jan. 5, in which 250 potential jurors were to be called. 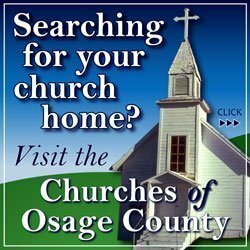 Osage County Court Clerk Charna Williams said that jury questionnaires had already been sent to potential jurors, who likely had received them or would receive them this week. A pre-trial conference was held Dec. 1, at which time the prosecution and defense attorneys said they were ready to proceed to trial and begin the jury selection process.